An antioxidant responsible for giving many vegetables their rich, vibrant colors, beta-carotene is one of several plant compounds called carotenoids. These compounds are converted into vitamin A within the body and serve to provide numerous health benefits. But not many people seem to know about beta-carotene benefits. Let’s change that! Beta-carotene offers several benefits—very important ones at that. Firstly, it can protect against various cancers. Stomach cancer and cancers of the digestive system are particularly affected by carotenoids. But, they can also work to prevent prostate, ovarian, cervical, and liver cancer just to name a few. Hesh Goldstein from NaturalNews reports that “eating foods chock-full of vitamin A, alpha carotene, and beta carotene seem to slash stomach cancer in half”. Foods rich in beta-carotene can also help prevent cardiovascular disease. They do this by reducing cholesterol and hardening of the arteries. How? Beta-carotene is an antioxidant able to destroy free-radicals that cause cellular damage. 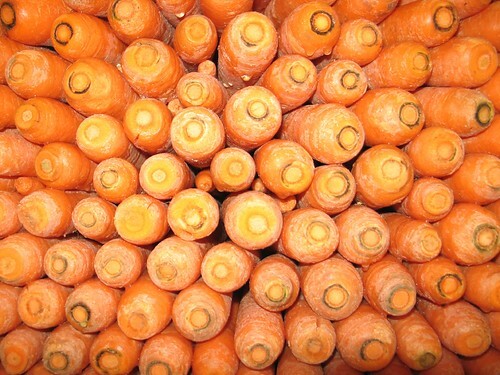 We’ve all heard of eating carrots for healthy eyes – beta-carotene is the reason. Macular degeneration, a common cause of age-related blindness, can be averted with a healthy diet rich in beta-carotene. A study from the Journal of the American medical Association found that you can cut your risk of macular degeneration by 35% by eating a diet rich in beta carotene with vitamins C and E. Beta-carotene, along with lutein, and zeaxanthin, can also protect the macula (a part of the eye that is near the center of the retina) from sun damage. But the beta-carotene benefits don’t stop there. Once metabolized into vitamin A, beta carotene works to protect your brain and prevent Alzheimer’s disease, in part by regulating the way your body handles something called beta-amyloid protein. It also keeps brain cells healthy, optimizing their communication and survival. Additionally, one 18-year long study involving 4,052 men found beta-carotene was able to make a “significant difference” in maintaining cognitive abilities. They concluded that men taking a beta-carotene supplements for 15+ years were far less likely to experience a cognitive decline. Sure, you could get beta-carotene from a supplement and it might have a few benefits, but scientists have repeatedly shown that the benefits experienced from real food far surpass those coming from any food-impersonator. This is very much likely to due the fact that nature has provided perfect combinations and proportions of various vitamins, minerals, and other substances that work together in boosting the human body. But knowing where to find beta-carotene is only part of the equation. You’ve got to know how to maximize its absorption. A salad of leafy greens with orange bell peppers and grated carrots is a good place to start. But, if you top it off with low-fat salad dressing, you are doing yourself a great disservice. Instead, you have to add a good source of fat to see the most beta-carotene benefits. Natural fats like those in organic, virgin coconut oil, or avocados are great additions to that salad. They will assist your body in converting the beta-carotene into vitamin A, ensuring you are able to reap all of the beta-carotene benefits.